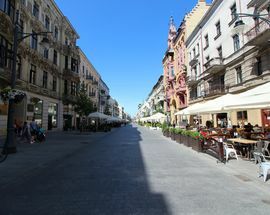 Splitting Łódź into two, ulica Piotrkowska stands out as the commercial and social heart of the city. 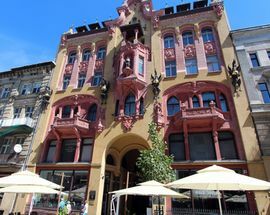 Measuring just under five kilometres, it ranks as Europe’s longest pedestrian street and is lined with restaurants, beer gardens, hot-dog stands, and a mix of neo-renaissance and art nouveau buildings; some in chronic disrepair, others restored to their former glory. 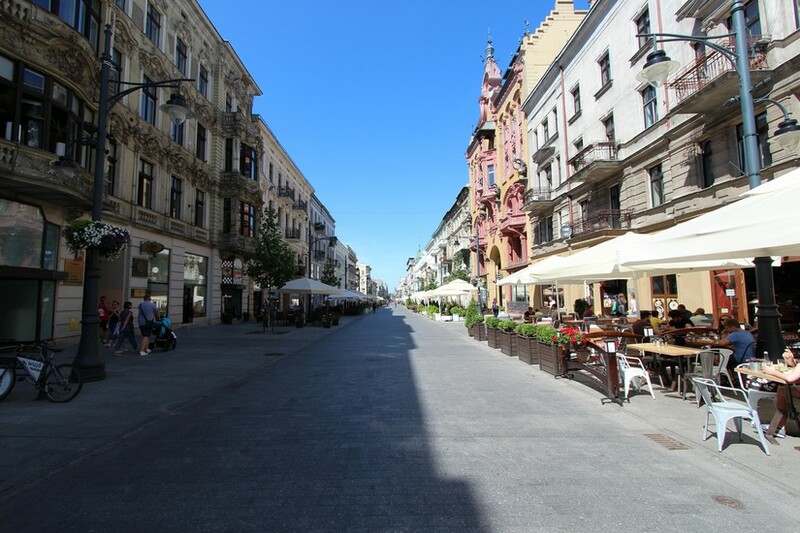 Starting at the Tadeusz Kościuszko statue the street stretches southwards with crews of all-year-round rickshaws (5zł per person from end to end) spiriting travellers to the destination of choice. 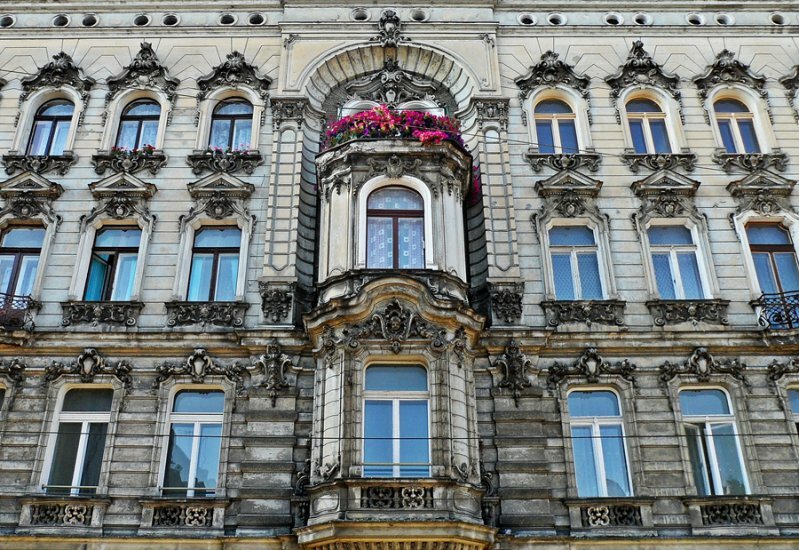 Pretty much all of Łódź’s major industrialists kept residences on this street, as if their palaces were not enough, and many of the buildings boast intricate details on their facades; ranging from reliefs of dolphins to dragons to demons. 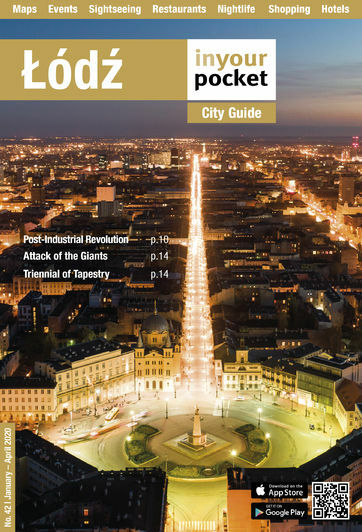 In more recent years Łódź entered the Guinness Book of Records for a time as possessing the largest piece of graffiti in the world, now deemed one of the largest in Europe. Painted by the Design Futura group in November 2001, the mural took two months to complete and is apparently very symbolic. 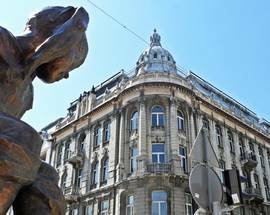 Featuring Wolności Square and the Kościuszko monument, Old Town Hall, an old tram and the city’s emblem on the side of a boat, the work combines the traditional with the modern and is well worth having a look at. Find it in the car park just to the northeast of the junctions of Piotrkowska and Al. Piłsudskiego. 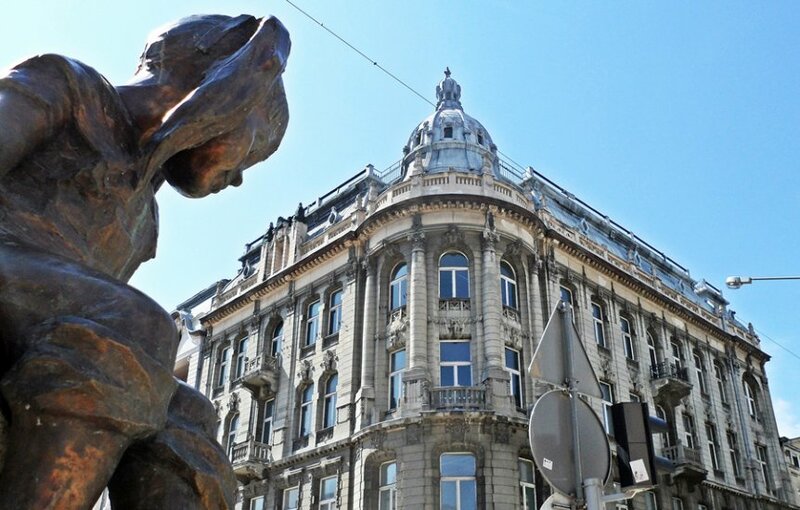 Łódź’s most recognizable hotel can be found halfway down Piotrkowska. 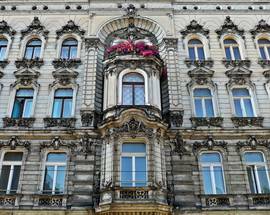 Constructed in 1887-1888 the neo-renaissance Grand was originally the work of Ludwik Meyer, though the building saw sweeping renovations (including an extra floor) in 1913, courtesy of the architect Dawid Lande – a man whose designs deeply influenced the appearance of Piotrkowska. 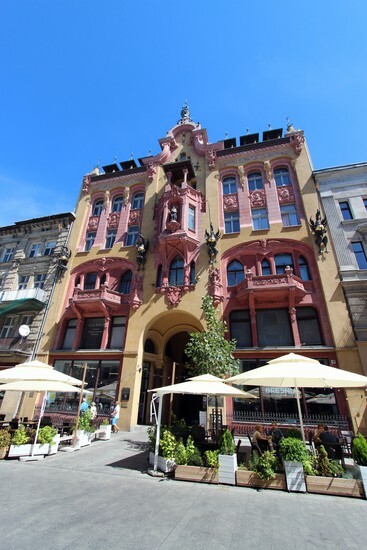 Functioning as a hotel for over 100 consecutive years the building has in the past sheltered an A-Z of heroes and villains, including Isadora Duncan, Roman Polański, Tito and Himmler. Directly outside the hotel is the ‘Walk of Fame’ – star-shaped plaques celebrating Poland’s most famous cinema artists and directors. 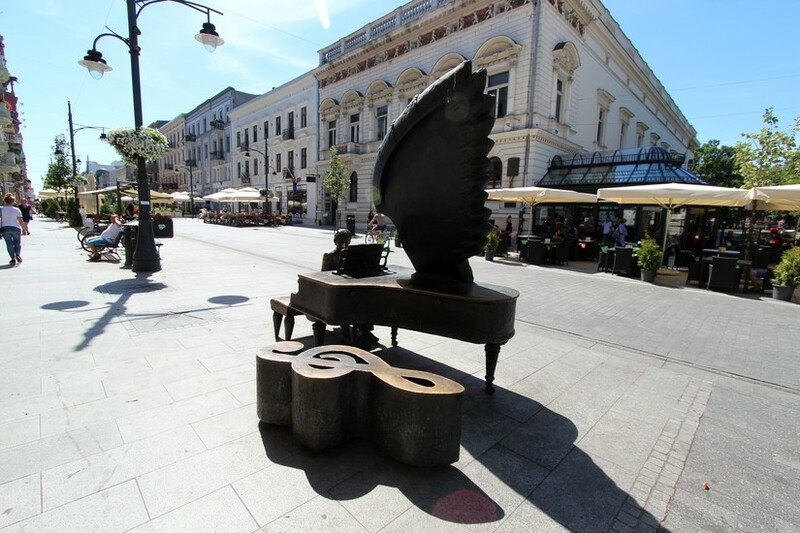 Other highlights to keep an eye out for include pianist Artur Rubinstein’s childhood home (Piotrkowska 78), and the ‘Turn of the Millennium’ walk: running from Piotrkowska 98 through till 146 you’ll find 12,859 names of Łódź residents engraved into the paving. 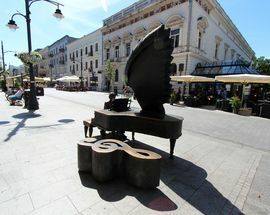 Elsewhere monuments of famous characters related to Łódź (Rubinstein, Reymont, Tuwim etc) can be found dispersed around the street.